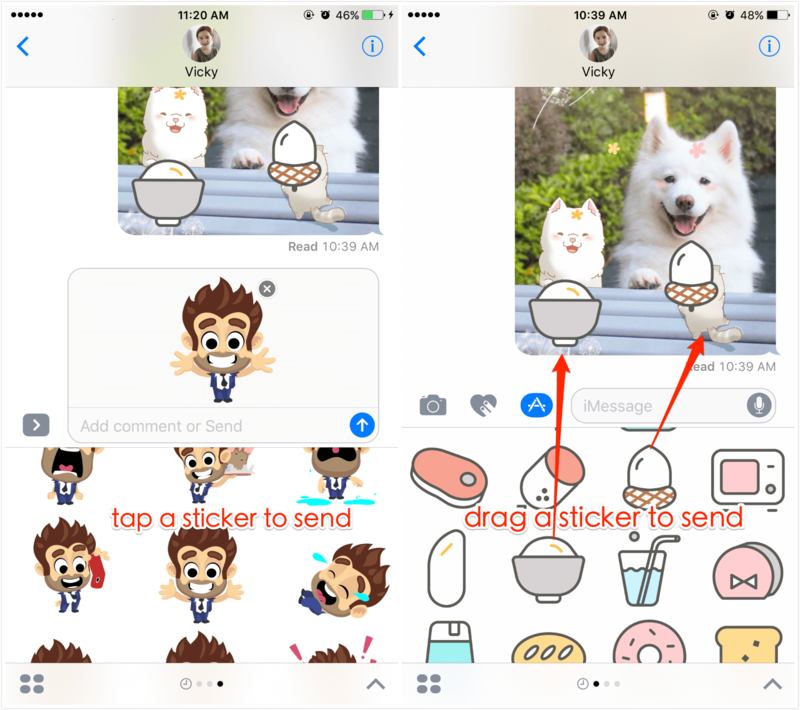 iOS 10 allows you to add stickers to iMessage, read this guide to learn how to use stickers in iOS 10 Message app. 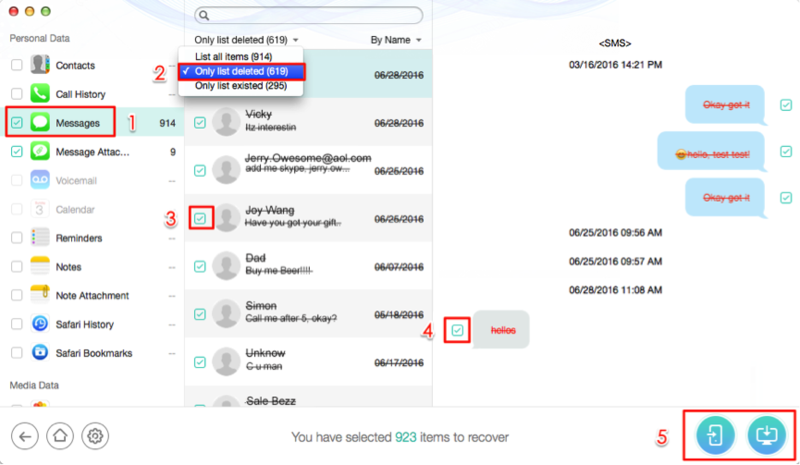 Have a try on PhoneRescue so that you can retrieve/extract messages and iMessages from iOS 10 devices. Then follow this guide to learn how to add stickers to iOS 10. Apple’s latest iOS 10 update adds a plenty of fun new features to Message app, including bubble effects, apps, Digital Touch, Emoji Tapback, and stickers. However, not everyone knows how any of this works, and you may want to know how to add stickers to your iMessage? Just read on! Step 1. Open Messages and go to an old thread or create a new one. Step 2. Tap the App Store icon next to the input area. Step 4. Now you can search stickers you like and tap Get to install it. You can send a sticker by tapping it or just drag it to a message bubble. Step 1. 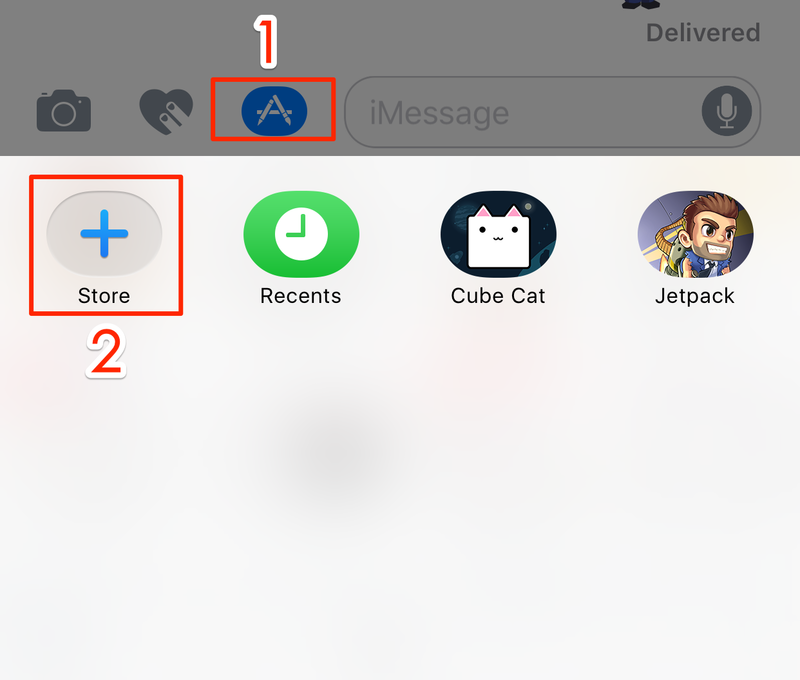 Open a message thread, and tap the App Store icon. Step 2. Swipe to view stickers. Select a sticker you want to send. Step 3. Tap the sticker and click the Up Arrow to send. 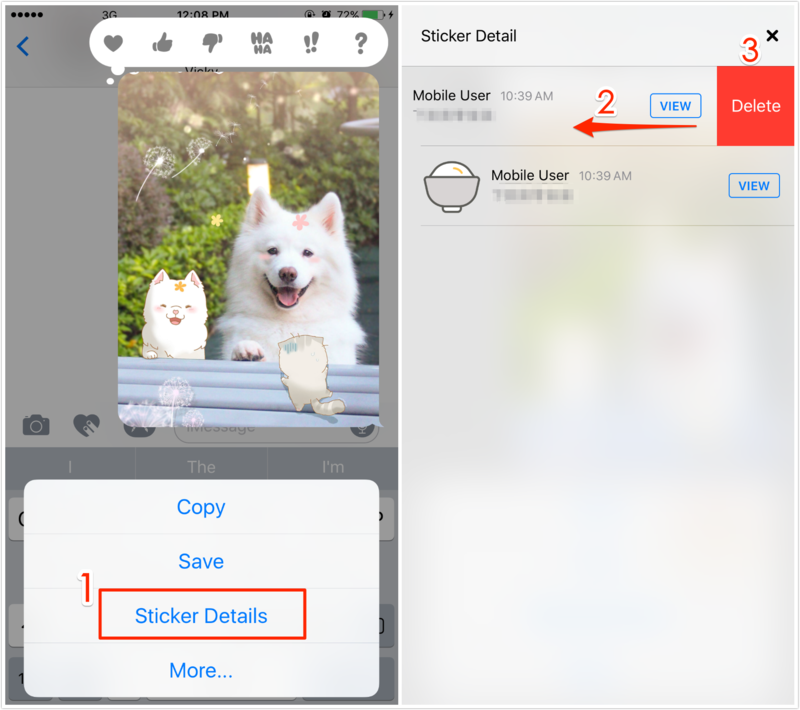 Or you can just press the sticker and drag it to a message bubble, photo or existing sticker. Step 1. Long press a sticker you have sent until you see a pop-up menu. Step 2. Tap on Sticker Details option. Step 3. Now you will see all stickers you have sent. Swipe to the left and you will see Delete option. Step 4. Tap on Delete to remove the sticker.